A proctored Quant test that gives a true measure of your current Quant Ability and gives you insights on how to achieve your target score. Know your Overall and Subsection-wise Abilities in Quant. Get World-Class analytics that provides useful insights and a personalized plan of action. Understand the extent to which you need to focus in each sub-section and how to go about the same to reach your target score – One of the unique features of Quant Workshop! Get personalized feedback from our Subject Matter Experts on how to improve in areas in which you often falter. While most mock tests tell you the questions you got incorrect along with providing solutions to those questions and while some others give some fancy data points such as a comparison of time taken, Quant Workshop goes miles further. Every question in the workshop is handpicked and every attempt is analyzed with a singular purpose in mind – to provide you actionable insights. With the right plan of action and personalized feedback, you will definitely get to your target Quant Score! 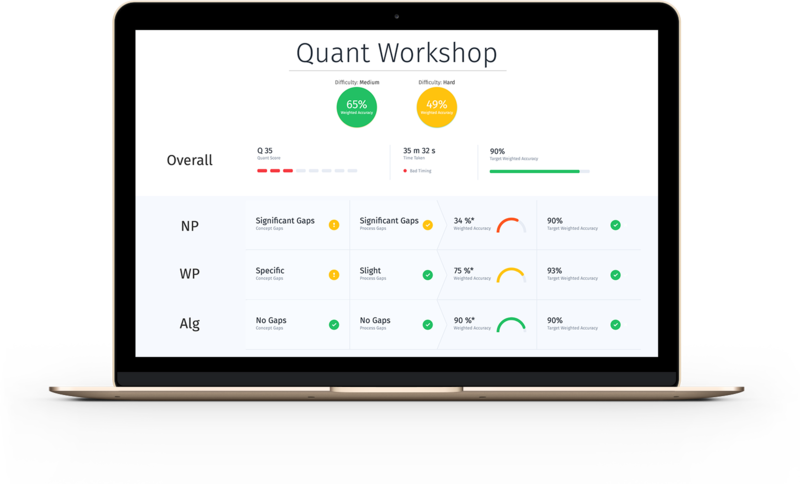 The Quant workshop feedback is designed in such a way that it can generate personalized feedback for everyone and point where we precisely need to focus on to improve our ability! We look at multiple parameters such as sectional accuracy, difficulty level of questions, time spent on questions etc. to provide these insights. 90% of the students strongly agree with the insights and the action items for improvement provided to them. 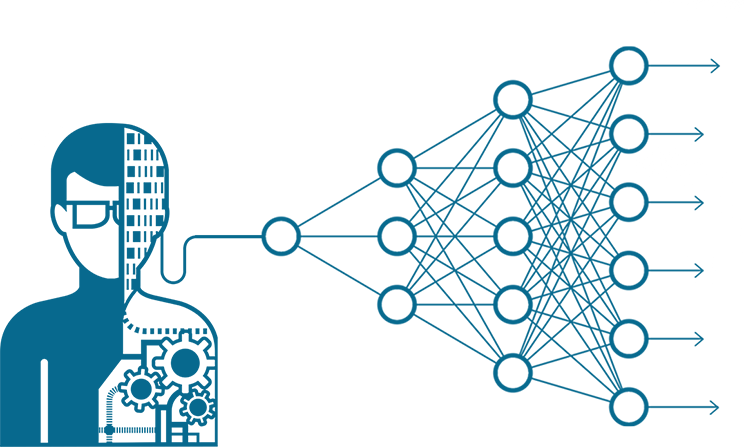 More than 30 hours of preparation time is saved by the feedback given by our Quant Experts. You can use this time to further your GMAT preparation. More than 40-point score improvement has been noticed on an average among the students who followed the plan of action provided to them. Payal Tandon is the co-founder of e-GMAT and has helped more than 30,000 students ace the test. She is the core author of e-GMAT Sentence Correction and Quant courses and is one of the top rated experts of GMAT Club (ranked #3). 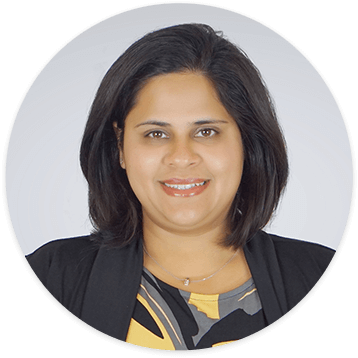 Payal has authored over 2000 questions and conducted more than 1000 hours of Webinars over the past 5 years. An absolute top ranker (out of 1 M students), Payal graduated from BITS Pilani with honors.